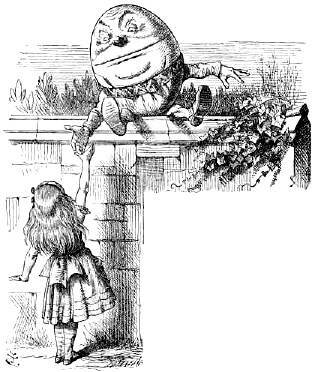 The answer is an egg and, for a long time, Humpty Dumpty stood for something that, once broken up, can never be made whole again. Unless that thing was meant to be broken up in order to be put together again – a jigsaw puzzle. 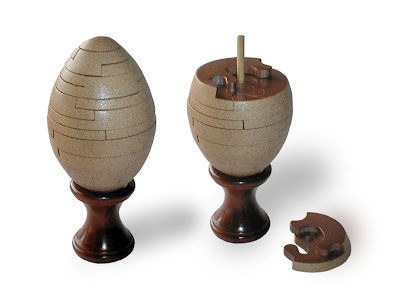 Probably the reason why there's not much Humpty Dumpty 3D puzzles is that you need older kids to complete these puzzles – they would just be choking hazards for kids of nursery rhyme age. Obviously, solving this involves a good knowledge of geography and good eye-hand coordination – or at least you'll have those skills by the time you're able to solve the puzzle. 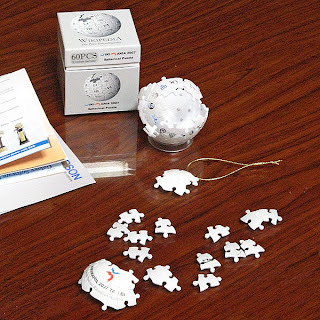 Wikipedia fans had a much smaller globe puzzle at the 2007 Wikimania. 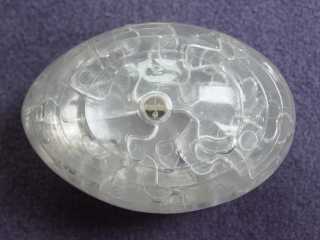 This was a 3-inch 3D version of the Wikipedia logo. 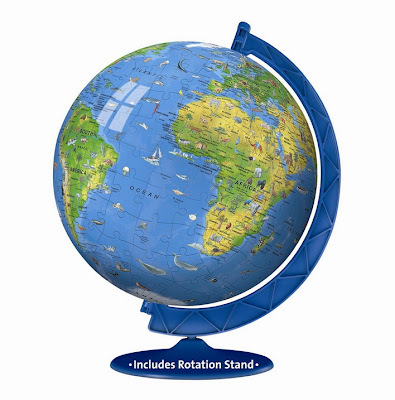 There's nothing like a challenging puzzle to help instill those geography lessons. 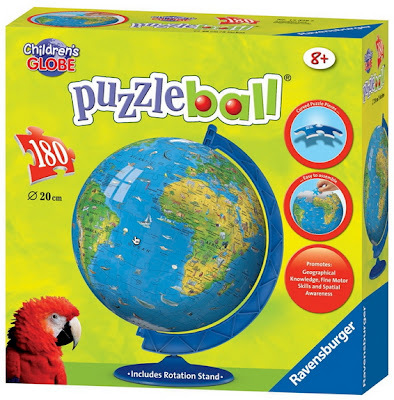 Let the Puzzle Globe put you up to the challenge.